In April, Get off the Reality! 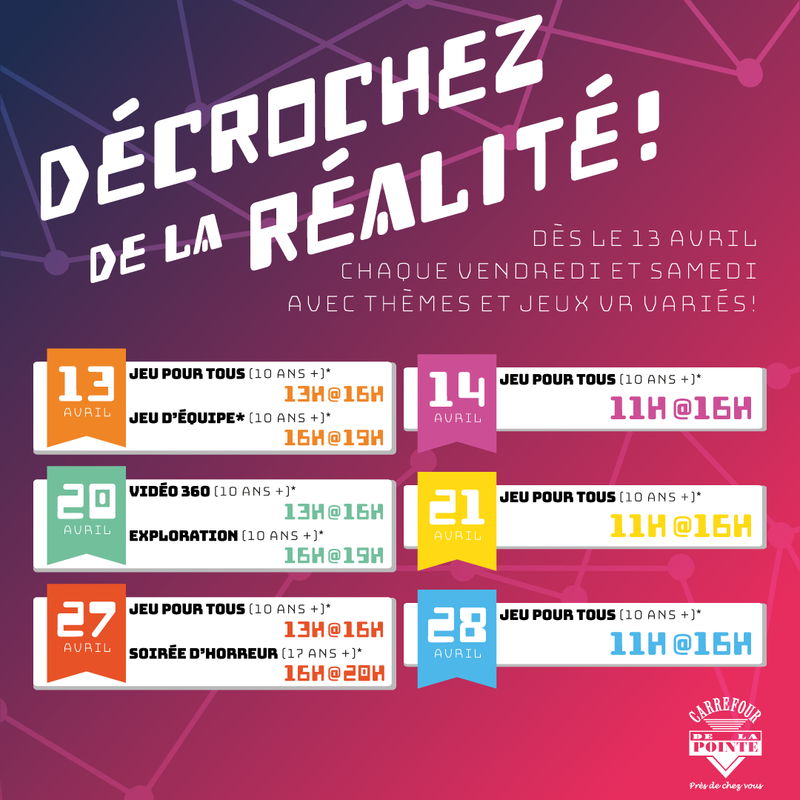 Every Friday and Saturday, from April 13th, you will be able to come and enjoy a VR experience at Carrefour de la Pointe! A total of 9 blocks will be available with different games and themes! Horror evening (17 years old and older) on April 27th – Sensitive heart abstain! We have also prepared a little game on our Facebook page! We called it ““Real or Virtual””. We have also prepared a little game on our Facebook page! We called it “Real or Virtual”. We present you an image and you must tell us if you believe that the image comes from a scene or real person (a photo!) Or if it is a virtual image (3D modeling, painting, drawing, etc!). To participate, you only have to give your answer in comment by specifying WHY you believe that the image is Real or Virtual. It is very important to specify your choice so that your answer is valid! Il est très important de préciser votre choix pour que votre réponse soit valide! o ensure we respect our time constraints, the entries will be valid for one week only! You can not go wrong so do not hesitate to participate! *17 years old and under must have the written consent of a parent present on site. 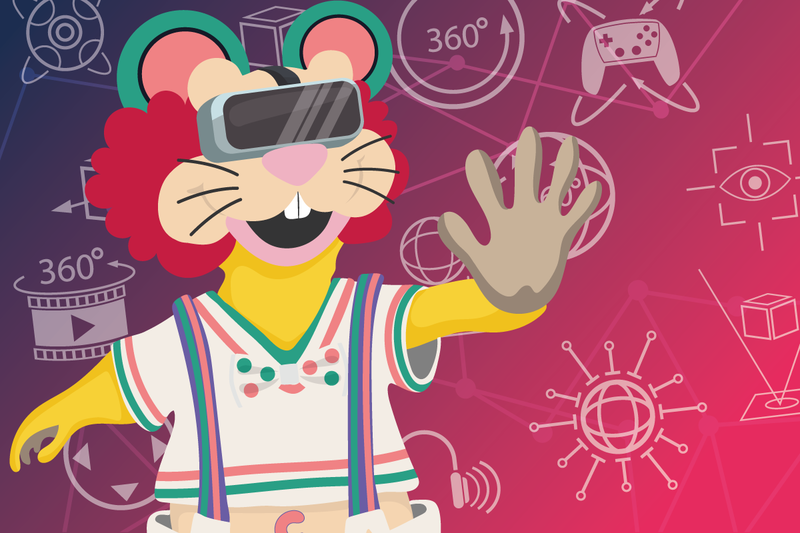 VR experiences are discouraged for children under 10 years old. A discharge must be signed by all participants! Limited places: First come first served!